Thought Experiments in Mathematics Teaching (ThEMaT) was funded by NSF in 2004 and closed in 2011 (NSF Grant ESI–0353285). 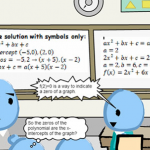 It was a research project that developed and used animations of cartoon characters to represent classroom scenarios in algebra and geometry, in order to stimulate discussions among groups of experienced teachers of algebra or geometry. The animations represented episodes that straddled the boundaries between what is more and less customary in classrooms. The project investigators were interested in examining those discussions using language analysis techniques to understand whether and how the practices represented in the scenarios might fall within what experienced teachers might consider reasonable to do in classrooms. Project ThEMaT was the origin of LessonSketch's original cartoon character sets (ThExpians), the Depict tool, and the animations that can be found in the Original Collection. This five-year research project focuses on secondary mathematics teachers of algebra and geometry. The basic premise is to examine what constitutes viable mathematics instruction from the perspective of the customary work of mathematics teachers. The PIs seek to understand the practical rationality that undergirds teachers' actions as they meet subject-specific goals of the teaching of algebra and geometry. A central aspect of the study is the development of a digital exploratorium for alternatives in teaching, using animations of real and possible episodes. The digital exploratorium will allow the researchers to examine the interplay between conceivable possibilities for instruction and what practitioners view as viable in mathematics teaching. This exploratorium will be used in study groups and summer academies for teachers. Teachers' conversations as they work with the Exploratorium examining alternative ways in which a practitioner could conceivably respond to a particular instructional situation in algebra or geometry, will provide data for the study. The methodology is based on the assumption that a relatively homogenous group (high school mathematics teachers) will examine a relatively diverse set of competing instances of a specific aspect of their job that can be used to elicit data that informs the construct of practical rationality, the practical decision-making of teachers. There will be four case studies focusing on equations, theorems, modeling and proving. These topics will be the focus of the animations. An example of the work that was done under project ThEMaT can be found in Herbst, P., Nachlieli, T., and Chazan, D. (2011). Studying the practical rationality of mathematics teaching: What goes into “installing” a theorem in geometry? Cognition and Instruction, 29(2), 218–255. "Supports for learning to manage classroom discussions: Exploring the role of practical rationality and mathematical knowledge for teaching" (also known as ThEMaT II or ThEMaT Online) was funded by NSF in 2009 and is closing in 2016 (NSF Grant DRL–0918425). The project sought to test some of the theoretical ideas developed in ThEMaT, by developing measures of teachers' recognition of norms and obligations (in the context of specific teaching scenarios) as well as assess teachers' mathematical knowledge for teaching, with the goal of understanding how teacher decisions in specific situations could be explained as depending on those variables. To administer those instruments the project needed a way to create media based questionnaires that could be delivered online. LessonSketch was developed to satisfy that need as it included tools to create teaching scenarios, to create assessment items that included those scenarios, and to deliver those assessments to a national sample. The integrated LessonSketch platform and most of its tools were developed in this project. The project also supported the development of content for teacher education, including the SMP modules that can now be used in professional development. A research and development proposal to the DRK12 program addressing the programmatic challenge 3, "How can the ability of teachers to provide STEM education be enhanced?" The project focuses on practicing and preservice secondary mathematics teachers and mathematics teacher educators.. The project will research, design, and develop materials for preservice secondary mathematics teachers that enable them to acquire the mathematical knowledge and situated rationality central to teaching, in particular as it regards the leading of mathematical discussions in classrooms. The project connects the dispositions that practicing teachers exhibit in instructional actions in algebra and geometry to the knowledge and skills aimed at by current approaches to teacher education. Thus the project contributes to three of the five components of NSF's cycle of innovation: synthesizing and theorizing notions of teacher knowledge and practical rationality; hypothesizing and clarifying how those participate in decision-making in specific situations in algebra and geometry instruction; and designing, developing, and testing a "virtual setting" for practice-based teacher education, organized around animations created with prior NSF funding. Researchers at the Universities of Michigan and Maryland are developing materials to survey the rationality behind secondary mathematics teaching practice and to support the development by secondary mathematics preservice teachers of specialized knowledge and skills for teaching. The project focuses on the leading of classroom discussions for the learning of algebra and geometry. Using animations of instructional scenarios, the project is developing online, multimedia questionnaires and using them to assess practicing teachers' mathematical knowledge for teaching and their evaluations of teacher decision making. Reports and forum entries from the questionnaires are integrated into a learning environment for prospective teachers and their instructors built around these animated scenarios. This environment allows pre-service teachers to navigate, annotate, and communicate about the scenarios; and it allows their instructors to plan using those scenarios and share experiences with their counterparts. The research on teachers' rationality uses an experimental design with embedded one-way ANOVA, while the development of the learning environment uses a process of iterative design, implementation, and evaluation. The project evaluation by researchers at Northwestern University uses qualitative methods to examine the content provided in the environment as well as the usefulness perceived by teacher educators of a state network and their students. More information about the research instrumentation can be seen in Herbst, P. and Chazan, D. (2015). Studying professional knowledge use in practice using multimedia scenarios delivered online. International Journal of Research and Method in Education, 38(3), 272–287. More information about how LessonSketch supports the work of professional developers could be seen in Herbst, P., Aaron, W., and Chieu, V. M. (2013). LessonSketch: An environment for teachers to examine mathematical practice and learn about its standards. In D. Polly (Ed. ), Common Core Mathematics Standards and Implementing Digital Technologies (pp. 281–294). Hershey, PA: IGI Global. "Developing Rich Media-based Materials for Practice-based Teacher Education" (also known as ThEMaT III) was funded by NSF in 2013 and is ongoing (NSF Grant DRL–1316241). The project sought to explore how web based resources and tools such as those provided by the LessonSketch platform could support the work of teacher educators designing materials for practice based teacher education. A main thrust of the project is related to materials development: a group of fellows were recruited to develop and disseminate materials through a network of inquiry groups. The project is also concerned with examining how the technological mediation affects the work of teacher educators and their inquiry groups planning and enacting teacher education lessons that use the materials developed. The grant "Developing Rich-Media Materials for Practice-based Teacher Education" (a.k.a. ThEMaT III) will support the work of mathematics teacher educators using the LessonSketch platform to develop and use rich media representations of practice in teacher preparation. The research will focus on understanding how online, rich-media resources can instrument the work of teacher educators and their students, as well as evaluating how LessonSketch functionalities respond to the needs of teacher educators and their students. The 4-year research and development project, Developing Rich Media-based Materials for Practice-based Teacher Education, is premised on the notion that recent technological developments have made it feasible to represent classroom work in new ways. 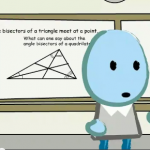 In addition to watching recorded videos of classroom interactions or reading written cases, teacher educators and teachers can now watch animations and image sequences, realized with cartoon characters, and made to depict activities that happened, or could have happened, in a mathematics classroom. Furthermore, teacher educators and teachers can react to such animations or image sequences by making their own depictions of alternative moves by students or teachers in classroom interaction. And all of that can take place in an on-line, cloud-based environment that also supports discussion fora, questionnaires, and the kinds of capabilities associated with learning management systems. Such technologies offer important affordances to teacher educators seeking to provide candidates with course-based experiences that emphasize the development of practice-based skills. The focus of the project is on mathematics teacher education. This joint project of the University of Maryland Center for Mathematics Education and the University of Michigan will produce 6 to 8 field-tested modules for use in different courses that are a part of mathematics teacher preparation programs. The following two-pronged research question will be resolved: What are the affordances and constraints of the modules and the environment as supports for: (1) practice based teacher education and (2) a shift toward blended teacher education? The project involves the following activities: (1) a teacher education materials development component; (2) a related evaluation component; and (3) two research components. The development phase seeks to develop both the LessonSketch.org platform and six to eight mathematics teacher education modules for use in preservice teacher education programs from around the country. The modules will be written with practice-based teacher education goals in mind and will use the capacities of the LessonSketch.org platform as a vehicle for using rich-media artifacts of teaching with preservice teacher candidates. LessonSketch Teacher Education Research and Development Fellows will be chosen through a competitive application process. They will develop their respective modules along with teams of colleagues that will be recruited to form their inquiry group and pilot the module activities. The evaluation activity will focus on the materials development aspect of the project. Data will be collected by the LessonSketch platform, which includes interviews with Fellows and their teams, perspectives of module writers, descriptive statistics of module use, and feedback from both teacher educator and preservice teacher end-users about the quality of their experiences. The first research activity of the project is design research on the kinds of technological infrastructure that are useful for practice-based teacher education. The PIs will identify tools that teacher educators need and want beyond the current capabilities for web-based support for use of rich media and will produce prototype tools inside the LessonSketch environment to meet these needs. The second research activity of the project will supplement the evaluation activity by examining the implementation of two of the modules in detail. This aspect of the research will examine the goals of the intended curriculum, the proposed modes of media use, the fidelity of the implemented curriculum, and learnings produced by preservice teachers. This research activity will help the field understand the degree to which practice-based teacher education that is mediated by an online access to rich media would be a kind of practice that could be easily incorporated into existing teacher education structures. The project will produce 6 to 8 LessonSketch modules for use in teacher education classes. Each module will be implemented in at least eight teacher education classes across the country, which means that between 720 and 960 preservice teacher candidates will study the materials. The project aims to shift the field toward practice-based teacher education by supporting university programs to implement classroom-driven activities that will produce mathematics teachers with strong capabilities to teach mathematics effectively and meaningfully. More information about how environments like LessonSketch mediate the work of teacher education can be seen in Herbst, P., Chazan, D., Chieu, V. M., Milewski, A., Kosko, K., and Aaron, W. (2016). Technology-mediated mathematics teacher development: Research on digital pedagogies of practice. In M. Niess, K. Hollebrands, & S. Driskell (Eds. ), Handbook of Research on Transforming Mathematics Teacher Education in the Digital Age (pp. 78–106). Hershey, PA: IGI Global.